I fell in love with books at a young age and have loved to read and write for as long as I can remember –thus my purely emotional and irrational decision to get a BA and MA in English. I’ve been keeping journals for over 35 years and writing poetry for almost as many, though most of them I keep to myself due to a lack of confidence in the face of workshop egos, and my own inability to separate myself from them emotionally and to objectively judge which ones have any merit. Some of my poems have been published in journals in the past when I got the gumption to send them out and was able to hit the poetry lottery. So…I’m going to use this blog as a place of inspiration. Some photos, some unpolished poem fragments, some thoughts. Maybe some visitors’ comments will lead to more inspiration and adventure, for me and for them. P.S. I’m evaluating this a year later…I seemed to have settled myself on mostly photography without planning it. Though it isn’t my greatest talent by any means, I enjoy doing it, and I hope others enjoy seeing my images. It’s fun, and that’s what matters in everyday life. If you want to read my writing, please check out my other blog. P.S.S. Okay…now it’s been two years and time for a step up! More quotes…some creativity exercises, quotes, etc. 2014 will be a banner year if I can just teach myself Photoshop and go to “Qville” more often!! Just wanted to let you know I have nominated you for the Reader Appreciation Award. I hope this will be welcome news for you. 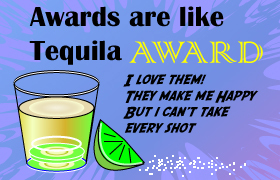 If you prefer not to accept the award, I certainly understand, but I hope you will visit the other nominees, and they will visit you, just the same. To see the other nominees and rules for accepting the award, please visit my post at http://wp.me/p2ekZU-Pt – All the best! Thank you very much! I have another award to do first (from a couple of weeks ago), but I will get to it. October has been (and continues to be) a little hectic. I do appreciate it and will check out your other nominees soon! When you mentioned acquiring your BA and MA in English, it jogged a precious and much cherished memory of my former English professor. Fall semester of 2012 was that last time that she and I physically connected. She was a great professor who challenged me a lot in class. She simply bought the best out of me. Today we keep in touch via e-mails. I wish you well in your endeavors and hope that someone will be as blessed to have you as a great English instructor or professor, as I was fortunate to have my former professor. Thank you for sharing this lovely passage. 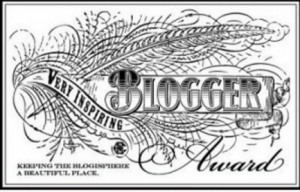 I am nominating you for the ‘Beautiful Blogger Award’ Congratulations!! Thank you Sofie! It may take me awhile, but I’ll get to it as soon as I can!